Defence Turkey: Dear Mehmet Fidan, first of all we would like to thank you for your time. As Tekom, you have been providing services to the defense industry in Armored Vehicle Lighting, Air Vehicle Lighting and Signalization Products, Power Supplies, Limit Switches, Control and Command Systems for Military Vehicles, Electronic Systems, Sensors and Special Purpose Aluminum Works areas. Could you please inform us on your facilities and personnel structure, engineering and design capabilities and product portfolio? First of all, we would like to thank the Defence Turkey family for giving us the opportunity to introduce our company. Tekom was founded in 2000 and as of 2004, we managed to the success that we continue with today by steering our activities towards fulfilling the requirements of our Defense Industry with a stronger infrastructure and staff. We do not merely exist with our company TEKOM under our auspices; rather, we have been executing our projects with a total of 55 persons with the Tesav Savunma Sanayi ve Ticaret Limited Şirketi which follows the military tender activities and the Teknosar AR&GE Sanayi ve Ticaret Limited Şirketi conducting our R&D studies at the Teknopark of Kocaeli University. Our engineering staff is composed of 4 PhD, 2 Master and 7 Undergraduate degrees in Electrics, Electronics, Mechanical, Computer and Mechatronics Engineering branches, and contribute greatly to our R&D studies. In addition to our electronic and mechanical designs we are also capable of conducting Optical Designs, Thermal and Optical Analysis with our own personnel and infrastructure. Apart from that, we continue to fulfill our sector’s requests with our experienced technical staff at the production line and with our CNC Machinery track located at our indoor facility which spans 1500 m2. We carry on investing in new machinery and staff in order to keep up with developing requests. Defence Turkey: You assumed critical responsibilities in crucial programs such as the MKE national chaff system for the Turkish Naval Forces and “Fırtına” program of the Land Forces Command. Moreover, you have been providing various services regarding Armored Vehicle Lighting systems to the main contractors of the Turkish Land Vehicles industry such as BMC, Otokar, FNSS and Nurol Makina. What would you like to say about the programs you have accomplished in the defense industry and ongoing projects? The National Chaff System was one of the milestones for our company. We have accomplished this system comprising 25 vessels within a short period of 18 months in company with MKE Maksam. Thus, within the scope of Maritime Defense Systems, we brought a domestic system to the Naval Forces Command. We carried out the re-design and production of a good part of the sub-components through local resources in this project in addition to the assembly operations. Thanks to these acquirements, we terminate our external dependency regarding the long-term maintenance of these systems. Within the framework of the “Fırtına” Howitzer Project, we achieved to design and manufacture numerous products from the control command systems over the Howitzer to sensor groups and to electronic components through local resources. Currently our products are being utilized by various vehicles operating in the field, and this gives us great pride. By manufacturing numerous products through local resources in the modernization activities of the Leopard 1 Tank, M60 Tank, M44, M48 and M52 Howitzers we got rid of foreign dependency in this area. We are exporting a portion of these products to countries such as Germany, United States of America and Spain at the same time. The Armored Vehicle Lighting was realized completely according to the requirements of our clients. Where we used to conduct the integration of a few products, currently we are capable of fulfilling almost all of the requirements of the majority of the local manufacturers. Our R&D studies continue regarding the lacking product groups and we will also be launching the production of our new products by the end of this year. Defence Turkey: Dear Mr. Fidan, in respect to the Armored Vehicle Lighting, Turkish main contractors procure these products particularly from abroad. Which products that were previously imported are currently being developed nationally and produced through local resources and also being procured to our main contractors? Taking into consideration the feedback attained from the users, how do you assess your performance when you bench mark your products with the foreign products in respect to price, performance, timely delivery and logistics as well as after sales services aspects? Within the context of Armored Vehicle Lighting, we have been manufacturing all types of lighting required; In-Vehicle Roof Lamps, and for the exterior Signal Lamps, Multifunction Rear Lamps, Reverse Gear Lamps, Blackout Lamps, Front Fog Lamps, Led Lighting, Blackout Drive Lights, Convoy Lamps, Portable Lamps, IR Lamps. I rely on the fact that we are advancing swiftly compared to our rivals in the quality of our products as well as in rapidly fulfilling the requests of our clients. In terms of the prices; we are capable of offering our clients more affordable prices coupled with more qualified products. Defence Turkey: As Tekom, you are in charge of the design and production of the interior and exterior lighting and signalization equipment regarding the T625 Multi-Role Helicopter program which is considered one of Turkey’s most crucial programs. What is the latest status of the activities executed to this end? We have been involved the T625 Multi-Role Helicopter Program, even until recently as a local manufacture. I would like to thank especially SSM and TAI team for their trust. We are striving to complete the design, tests and documentation of 13 products in a very short schedule. We have accomplished the Electronic, Mechanical and Optical design of the products very swiftly in accordance with the customer requirements. The prototypes were manufactured and even demonstrated over the helicopter at the IDEF’ 17. The tests and qualification process regarding the products are at full speed. We will have completed all tests and the qualification process by the end of the year. 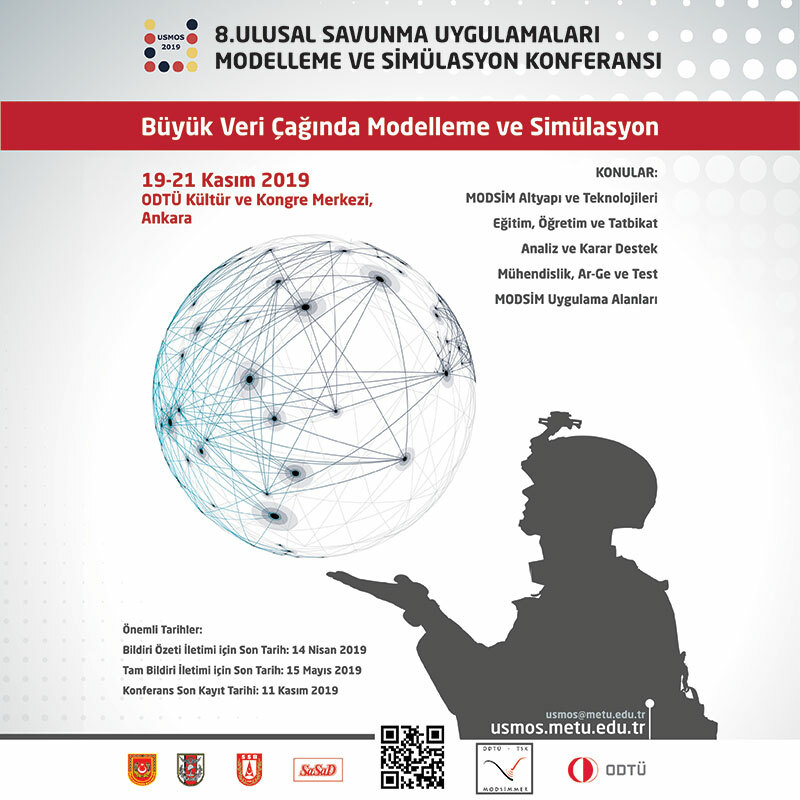 Defence Turkey: In light of the know-how and experiences you acquired through the T625 Multi-Role Helicopter program, what kind of studies are you making to take part in other military and commercial helicopter and aerospace programs and the programs executed by the aerospace giants? What would you like to share about your activities and initiatives to this end? This project has been a major experience for our company. I can say that developing products for Air Platforms in the sequel Land and Naval Platforms has been a turning point for our company. In this way, we noticed our deficiencies, strengths and weaknesses; accelerated the institutionalization activities and raised our quality awareness. Besides, we launched a significant infrastructural set up for the upcoming projects. Defence Turkey: Mr. Fidan, your brand is a recognized and favored brand in the Turkish market. In light of the success you achieved, you also provide services in various areas to the companies conducting Armored Vehicle Production in United Arab Emirates, Thailand, Ukraine, Saudi Arabia and Republic of South Africa. With this program that you have been conducting abroad, what would you like to say on your goals and plans regarding foreign countries? 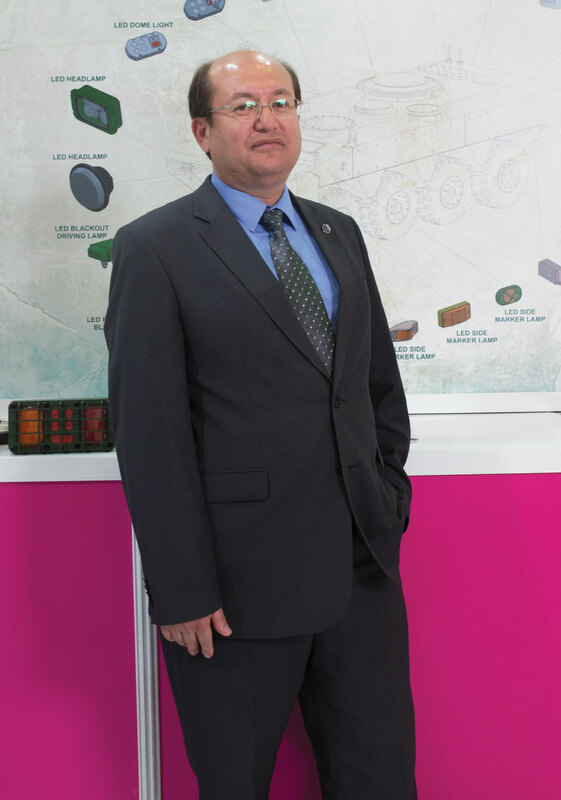 Collaborating with companies manufacturing military vehicles in foreign countries has been a crucial step for us. We have just been collaborating with the companies in the aforesaid countries and we continue to develop our activities in expeditiously. Although we did not attain grand turnovers this year, we have ambitious goals set to be able to achieve our export targets as of next year. We set a goal of least $ 1 million for 2018 and we are discussing the enlargement of our business each year abroad. And concerning this point, we are constantly investing in order to remedy our infrastructural deficiencies. Defence Turkey: Mr. Fidan, as Tekom, you are providing a planning service to your customers in which all the processes from the start of the material inflow until the product becomes a finished good in accordance with the customers’ requirements and sales targets as well. Could you please elaborate this model offered to your customers? What are the advantages brought by this model to the program and to the customers? We attach great importance to this planning service. By conducting constant and qualified production, we cater to the requirements of our customers on a weekly basis. In this way, by minimizing our customers’ stock costs we fulfill their requests through a solid planning system in a very short period. Defence Turkey: Mr. Fidan, what would you like to say about your quality and test laboratories with your production line and supporting units in addition to the capacity and capabilities of your production and assembly lines? In order to continuously fulfill customer requests in a qualified fashion, one needs to have good planning and a fast production line. Within this framework, we have been constantly developing our tools and equipment in our production line and CNC machine park. We give priority to new machinery and mold investments. Besides, we have quality and test laboratories for developing our quality infrastructure and we are capable of conducting entire test processes starting from the R&D stage to material procurement up until customer delivery. We execute certain tests requiring great investments through outsourcing support from professional companies or universities. Defence Turkey: Our companies need to invest in R&D in order to manufacture unique and national products and we are aware that your company has been making crucial investments to this end. With the help of the resources and investments allocated to R&D, in which areas are you aiming to put forth products of superior technology in order to end our foreign dependency? The R&D activities are our greatest strength and we are fully aware of that. Companies neglecting research and development investments fail to last in our industry. With this awareness, we allocate approximately 10% of our annual turnover to R&D investments. Currently we have quite significant projects in the Defense Industry. At this stage, we will be transferring all of our resources to the Defense Industry for a while more without exerting our energy in the industrial area. 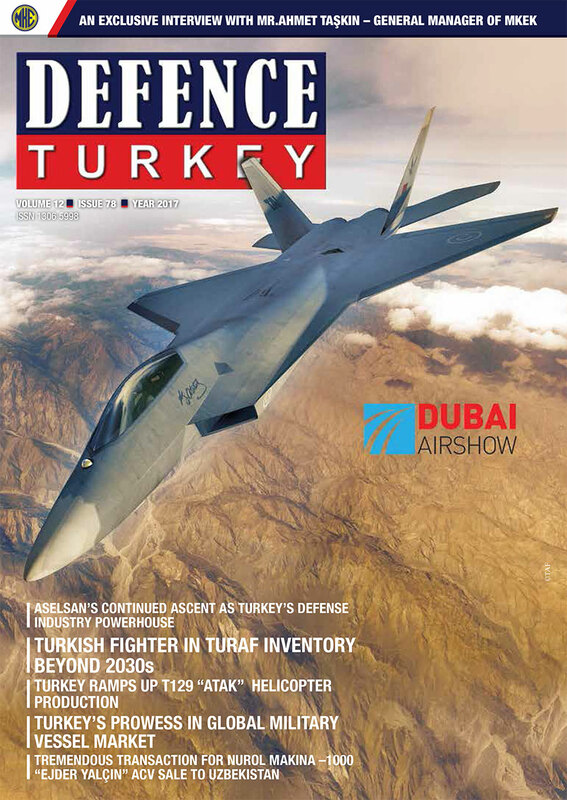 Defence Turkey: Lastly, do you have any remarks for the readers of Defence Turkey?